Customer satisfaction is Coherent’s most important measure of quality. Factory trained service engineers, in offices throughout the world, offer technical support and quick response time. Continuous training of technical support and field service engineers ensure the very best in product and customer care. It is the mission of the Coherent Product Support Team to provide the real-time service expected from the leader in the laser industry. This section of Coherent’s Service and Support site is to provide you with a complete array of service tools and information. 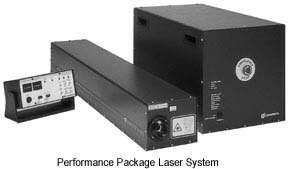 CO2 Performance Package - This Diamond laser series is a modular, RF excited, sealed industrial CO2 pulsed laser. The Diamond laser series is a modular, RF excited, sealed industrial CO2 modulated laser. The Diamond K-150/K-200/K-250 Basic System consists of a laser head, RF amplifier, and Diamond digital interface (DDI). Verify that the cooling water temperature is within specifications for your laser model as stated in the operator’s manual. Verify that the cooling water flow through the laser system is within the specifications for your laser model as stated in the operator’s manual. Check continuity of thermal switch located on the shutter blade. Disconnect the shutter cable from the shutter assembly. Measure the resistance between pins 6 and 12 at the connector. The acceptable value is 20 ohms when the shutter blade is less than 35ºC. Place a Jumper between R9 and TP1 on the headboard. If the head thermal light goes off, then replace the shutter cable. If light stays on, replace the headboard per the instructions in the operator’s manual; if light is still on replace the power module. If the system is still not operating after verifying and/or correcting the checklist items, contact Coherent Technical Support or your local service representative for assistance. Verify that the head cover is installed properly. If the light is still on remove the cover and install interlock defeat, which is shipped in the maintenance kit. If the indicator goes off when interlock defeat is installed, verify that the head cover and interlock pins are making contact. Clean contact area if necessary. If light is still on, replace the headboard per procedure in the operator’s manual. Related symptoms: When I turn the laser system on nothing happens. Background information: The laser system has an interlock circuit that the customer/integrator can interface to. This interlock circuit prevents the laser from turning on if a safety requirement is not met. The interlock circuit uses a 5 VDC power supply that turns on the main 48 VDC power supply when all of the interlocks, external and internal are properly connected. Verify that the input voltage selector on the power module is set to the correct input line voltage for your facility. See Chapter titled, “Utility Requirements and System Installation”, and paragraph titled, “Changing Input Voltage for Power Module”, in the Operator’s Manual. If the laser system has external safety interlocks installed, verify that these interlocks are okay. Verify that the power module is connected to the input line voltage and that the input line voltage is okay. See Chapter titled, “Utility Requirements and System Installation”, and table titled, “Utility Requirements”, in the Operator’s Manual for more information on input line voltage requirement. Verify that all cables are connected properly. Verify that the interlock + connector (15 pin DB connector) is plugged into J11 on the remote control unit. Verify that all key switches are on. Verify that the J7 user connector (9 pin DB connector) is plugged into the DDI box. Verify that the power module fuse is okay. Verify that the interlock connector (9 pin DB connector) is plugged into the power module. Verify that the emergency stop switch is not pushed in. If after verifying and/or correcting the checklist items the system is still not operating contact Coherent Technical Support or your local service representative for assistance. Related symptoms; Laser system won’t run above certain duty cycles. Laser system will shut down when modulation is turned on. Set modulation to 1 kHz 20% duty cycle. Increase modulation, if modulation shuts down at around 30% duty cycle. Replace the power module if you own a performance package. If you own a basic system, replace the DC power supply. Related symptoms; laser output skips. Check condition of all system beam delivery optics. These optics must be free of dirt, dust and smoke for full delivery of power to the work surface. Consult the system integrator for cleaning methods or replacement optics. This must be done before proceeding to next section. Verify that modulation is input to laser at correct duty cycle.If system is integrated, Coherent’s 60% duty cycle may correspond to Integrator’s 100%. If in doubt, check with system integrator to verify. NOTE: The next step will attempt to operate the laser. A power meter or power probe is required to perform this step. Align power meter sensor using the aiming beam. Disconnect all external controls. Set the remote to local modulation and run at 1000 µs period, 600 µs pulse width. If a power meter/probe is available measure the output power at this setting. Check purge gas and purge gas filter, see the chapter titled, “Utility Requirements and System Installation”, in the Operator’s Manual for details. If RF warning lights are on troubleshoot as necessary. Replace power module, laser head, and/or RF cable if necessary depending on warning lights and troubleshooting results. If after verifying and/or correcting the checklist items the system is still not operating (please note the pulse width and pulse period for low power operation) contact Coherent Technical Support or your local service representative for assistance. Verify that aiming beam ON/OFF switch is ON. Verify shutter is closed; the aiming beam will only output if shutter is closed. If shutter is closed, verify that 5 VDC is available on the headboard. The green LED CR5 will be lit when 5 VDC is on. If no 5 VDC then replace the headboard. To verify that the correct signals are being sent to the aiming beam laser diode, use the following procedure. Turn system off. Turn aiming beam switch on remote control off. Remove the head cover, following procedures in the operator’s manual. Bypass the head cover interlock, following procedures in the operator’s manual. Disconnect the electrical connector cable to the shutter assembly, see figure titled “Shutter Assembly Connections” in the operator’s manual. This is done to check the signal to the aiming beam diode without any load. Connect a DVM to R24, reference to TP6 (GND). Turn on system. Faults will come on because shutter assembly is disconnected, but they can be ignored for this test. With the aiming beam switch in the off position, the DVM should be reading approximately 5 V. With the aiming beam switch in the on position the DVM should read approximately 0 V. If you get these readings, then the turn on signal to the aiming beam diode is okay and the shutter assembly should be replaced using the procedures outlined in the operator’s manual. If you are not getting these measurements, go to the next step. Verify that the turn on signal for the aiming beam is coming to the laser head board. Turn the aiming beam switch off. Turn the laser system off. Connect a DVM to R20, reference to TP6 (GND). Turn on the laser system. Faults will come on because the shutter assembly is disconnected, but they can be ignored for this test. With the aiming beam switch in the off position, the DVM should be reading approximately 0 V. With the aiming beam switch in the on position, the DVM should be reading approximately 2.5 V. If you get these readings, the turn on signal is okay up to the head board and the problem is somewhere on the head board. Replace the head board using the procedures outlined in the operator’s manual. If you are not getting these measurements, the power module may need to be replaced is you own a performance package. If you own a basic system the DDI box may need to be changed. Verify that the power module is on and ready light is on. If fault lights (red) are lit, clear faults. Open shutter and verify that the shutter open indicator is illuminated NOTE: The next step will attempt to operate the laser. A power meter or power probe is required to perform this step. Align power meter sensor using the aiming beam. Replace power module, laser head, and/or RF cable if necessary depending on warning lights and troubleshooting results. Verify that there is modulation input. Set the remote to local modulation and run at 1000 µs period, 100 µs pulse width. If power meter/probe is available, measure the output power at this setting. Consult the operator´s manual for typical output power at this setting for your laser model. Verify that the laser tube is actually receiving modulation by monitoring the sound coming from the laser head. If RF warning lights are on troubleshoot as necessary. If after verifying and/or correcting the checklist items the system is still not operating contact Coherent Technical Support or your local service representative for assistance. Related symptoms; VSWR light on, Duty Cycle light on, Forward light on, Reflected light on. 1st Check - Duty cycle indicator on.Solve this and ignore any other warning indicators that are on. This warning light comes on for modulation signals that are greater than 60% duty cycle or more than 1 ms pulse width. Set to 60% to see if fault clears, if not, see step 5. If system is integrated, Coherent’s 60% duty cycle may correspond to Integrator’s 100%. If in doubt, check with system integrator to verify. 2nd Check - VSWR indicator on. This indicator will often light with the Forward and Reflected fault lights. Ignore Forward light if VSWR indicator is on. Most probable causes for illumination are the RF cable and/or the laser head. See which lights are on at < 10% duty cycle preferably at 1 kHz operation. If VSWR is still illuminated try replacing the RF cable (system off, facility power disabled), if fault doesn’t clear see step 5. 3rd Check - Forward warning indicator on. The most likely cause for this warning indicator is the RF amp. If the Reflected fault light is on, set system to ~ 10% duty cycle 1 kHz. If fault persists, power module may have failed, see step 5. 4th Check - Reflected indicator on. Operate the laser at 1 kHz and 10% duty cycle to see if this indicator stays on. Typical sources for this indicator are the RF cable, and/or the laser head. It can also be due to low RF power. Closely inspect the RF cable for sharp bends and damage to the exterior insulator. Replace the RF cable if necessary (system off, facility power disabled). A bad tube will also cause this indicator to light. If cable is okay, see step 5. For complete information refer to the Chapter titled, “Maintenance and Troubleshooting”, of the Operator’s Manual. Verify that all water hose connections are okay and not leaking. Verify that the water flow is in the correct direction. Verify with external flow meter that water flow is in excess of 1.5 gallons per minute (2.5 gpm for K-500). Check water screen on the laser head and hoses for blockage. If water screen is blocked, clean using the method in the operator’s manual. Using an oscilloscope, measure waveforms between TP5 and GND, and TP3 and GND. Waveform should be measured if flow sensor is working. If no signal, replace flow sensor using the method in the operator’s manual. Check calibration of water flow circuit. While measuring between TP4 and GND. Reduce the water flow to below 1 gallon per minute. TP4 should go to 5 V. Increase water flow to greater than 1.5 gallon per minute (2.5 gpm for K-500). TP4 should go to approx. 0 V. Adjust potentiometer R1 so that TP4 goes to 0 V when water flow is greater than 1.5 gallons per minute (2.5 gpm for K-500). If voltage does not change then replace the head board using the method in the operator’s manual. If light is still on, replace the head board. The Diamond laser is a modular, RF excited, sealed-off industrial CO2 pulsed laser. 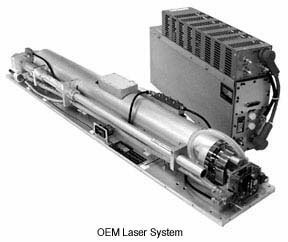 The Diamond K-150/K-200/K-250/K-500 OEM system consists of a laser head, RF amplifier, and an RF cable. A DC power supply is required and can be supplied by Coherent. Related symptoms: When I turn laser system on nothing happens. Laser system drops out. Background information: The laser system will not turn on if there is no 48 V from the DC power supply. Verify that there is proper line voltage to the 48 VDC power supply. See paragraph titled “Input Power Connections to DC Power Supply Option” in the Operator’s Manual. Verify that the line voltage is within the proper specifications for the DC power supply. For example, no excessive noise, and within proper voltage specification. Disconnect the DC power supply from the RF amp. Verify that 48 V is at the output of the DC power supply while disconnected. If not replace the DC. Reconnect the RF amp to the DC power supply. Verify that 48 V is at the input of the RF amp. If not replace the RF amp. Turn off the 48 V supply and disconnect the +48 V and RTN at the terminal strip. Verify that 48 V is available at the cable, reconnect and verify that 48 V is still at terminal strip. If not, there could be a short at the laser head. Contact Coherent for next step. Turn laser system on, apply modulation to laser. Measure voltage at the input of the RF amp. Insure that the 48 V is still available and has not dropped more than 2 V. If so, replace the DC power supply. Perform checks for No Laser Output Beam, troubleshoot as necessary. Check beam delivery optics for clipping or blockage. Check RF Warning Faults, troubleshoot as necessary. Perform checks for good DC voltage found in Laser System Doesn’t Turn On, troubleshoot as necessary. Verify that RF cable connections at the laser head and the RF amp, are okay, not burnt verify that the RF cable is not damaged. Replace cable if necessary. If DC voltage is okay. Disconnect 25 pin connector from RF amp. Click here for illustration. Using Oscilloscope, measure cable side to verify that correct signals are being sent to the RF amp. Check user interface if following signals are not available or are noisy or don’t agree with what should be there. Enable: This signal is located on pin 3 of 25 pin connector cable. It should go to logic low to turn on the RF amp. Modulation: This signal is located on pin 7 of the 25 pin connector. Pulse waveform should agree with what the user thinks is being sent and should not be noisy. Can modulation signal be heard coming from laser head? If so and still no laser output, replace laser head. If no modulation sound from laser head, try replacing RF amp. RF warning signals should be measured while the laser is receiving a modulation signal. A connector needs to be built by the integrator to measure these signals. Connect three DB25 connectors in parallel for form a breakout connector. One of the connectors needs to be a male type and another needs to be a female type. The third connector can be either male or female. Related symptoms; See chapter titled “Maintenance and Troubleshooting” in the Operator’s Manual for definition of RF warnings. (note: Warning faults can come on without problems in transient conditions.) See Operator’s Manual illustration titled, RF Amplifier Output Singals - Normal Operating Conditions. 1st Check – Duty cycle indicator on.Indicated by a pulse waveform being present at pin 10 of the 25 pin connector. Normal indication is a DC or ground signal. Solve this and neglect any other warning indicators that are on. This warning light comes on for modulation signals that are greater than 60% duty cycle or more than 1 ms pulse width. 2nd Check – VSWR indicator on. Indicated by a pulse waveform being present at pin 11 of the 25 pin connector. Normal indication is a DC or ground signal. Often will light with Forward and Reflected. Forget about Forward light if VSWR is on. Most probable causes are the RF cable and /or the laser head. See what faults are on at <10% duty cycle preferably at 1 kHz operation. 3rd Check – Forward warning indicator on. Indicated by a DC or ground signal being present at pin 9 of the 25 pin connector. Normal indication is a pulse waveform. The most likely cause for this warning is the RF amp. The reflected faults can come on, if it does try at ~ 10% duty cycle 1 kHz. RF amp failures can still occur with no Forward indicator on. 4th Check – Reflected indicator on. Indicated by a pulse waveform being present at pin 8 of the 25 pin connector. Normal indication is a DC signal. Operate the laser at 1 kHz and 10% duty cycle to see if this indicator stays on. Typical sources for this indicator are the RF cable, and/or the Laser head. It can also be due to low RF power. Closely inspect the RF cable for sharp bends and damage to exterior insulator. Replace the RF cable if necessary. A bad tube will also cause this indicator. If light is still on replace the headboard per procedure in the operator’s manual. Place a Jumper between R9 and TP1 on the headboard. If the head thermal light goes off, then replace the shutter cable. If light stays on replace the headboard per the instructions in the operator’s manual; if light is still on replace the power module. Verify that the input voltage selector on the power module is set to the correct input line voltage for your facility. See Chapter titled “Utility Requirements and System Installation”, paragraph titled “Changing Input Voltage for Power Module” in the Operator’s Manual. Verify that the power module is connected to the input line voltage and that the input line voltage is ok. See Chapter titled “Utility Requirements and System Installation”, table titled “Utility Requirements” in the Operator’s Manual for more information on input line voltage requirement. Verify that the emergency stop switch is not pushed in. If after verifying and/or correcting the checklist items the system is still not operating contact Coherent Technical Support at 1-800-367-7890 or your local service representative for assistance. Verify that modulation is input to laser at correct duty cycle.If system is integrated, Coherent’s 60% duty cycle may correspond to Integrator’s 100%. If in doubt, check with system integrator to verify. NOTE: The next step will attempt to operate the laser. A power meter or power probe is required to perform this step. Align power meter sensor using the aiming beam. NOTE: The next step will attempt to operate the laser. A power meter or power probe is required to perform this step. Align power meter sensor using the aiming beam. Disconnect all external controls. Set the remote to local modulation and run at 1000 µs period, 600 µs pulse width. If a power meter/probe is available measure the output power at this setting. Check purge gas and purge gas filter, see the chapter titled “Utility Requirements and System Installation” in the Operator’s Manual for details. If RF warning lights are on, troubleshoot as necessary. With the aiming beam switch in the off position, the DVM should be reading approximately 5 V. With the aiming beam switch in the on position the DVM should read approximately 0 V. If you get these readings then the turn on signal to the aiming beam diode is okay and the shutter assembly should be replaced using the procedures outlined in the operator’s manual. If you are not getting these measurements then go to the next step. With the aiming beam switch in the off position, the DVM should be reading approximately 0 V. With the aiming beam switch in the on position, the DVM should be reading approximately 2.5 V. If you get these readings the turn on signal is okay up to the head board and the problem is somewhere on the head board. Replace the head board using the procedures outlined in the operator’s manual. If you are not getting these measurements, the power module may need to be replaced is you own a performance package. If you own a basic system the DDI box may need to be changed. Open shutter and verify that the shutter open indicator is illuminatedNOTE: The next step will attempt to operate the laser. A power meter or power probe is required to perform this step. Align power meter sensor using the aiming beam. Replace power module, laser head, and/or RF cable if necessary depending on warning lights and troubleshooting results. Verify that there is modulation input. Set the remote to local modulation and run at 1000 µs period, 100 µs pulse width. If power meter/probe is available measure the output power at this setting. Consult the operator´s manual for typical output power at this setting for your laser model. Verify that the laser tube is actually receiving modulation by monitoring the sound coming from the laser head. If RF warning lights are on, troubleshoot as necessary. See Chapter titled “Maintenance and Troubleshooting” in the Operator’s Manual for definition of RF warning lights. (Note: Warning lights can come on due to transient conditions. Always first attempt to clear the warning lights using the Fault Reset switch on the front panel of the remote control unit. 1st Check - Duty cycle indicator on. Solve this and ignore any other warning indicators that are on. This warning light comes on for modulation signals that are greater than 60% duty cycle or more than 1 ms pulse width. Set to 60% to see if fault clears, if not, see step 5. If system is integrated, Coherent’s 60% duty cycle may correspond to Integrator’s 100%. If in doubt, check with system integrator to verify. 4th Check - Reflected indicator on.Operate the laser at 1 kHz and 10% duty cycle to see if this indicator stays on. Typical sources for this indicator are the RF cable, and/or the laser head. It can also be due to low RF power. Closely inspect the RF cable for sharp bends and damage to the exterior insulator. Replace the RF cable if necessary (system off, facility power disabled). A bad tube will also cause this indicator to light. If cable is ok, see step 5. For complete information refer to the Chapter titled “Maintenance and Troubleshooting” of the Operator’s Manual. Check calibration of water flow circuit. While measuring between TP4 and GND. Reduce the water flow to below 1 gallon per minute. TP4 should go to 5 V. Increase water flow to greater than 1.5 gallon per minute (2.5 gpm for K-500). TP4 should go to approx. 0 V. Adjust potentiometer R1 so that TP4 goes to 0 V when water flow is greater than 1.5 gallons per minute (2.5 gpm for K-500). If voltage does not change then replace the head board using the method in the operator’s manual.If light is still on, replace the head board. Troubleshooting information for your DPSS laser system. 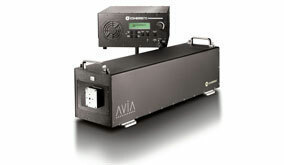 Guidelines to troubleshooting the Avia, Verdi and Vitesse product lines. Allow time for the battery to recharge - The system tests the battery charge during the first few seconds after the system is powered on. Therefore, the only time the battery fault will be displayed is during system power-up. The warning “Battery Requires Service” indicates that the battery charge is low. The battery automatically recharges whenever the system is supplied with AC power. Leave the system powered on for at least 8 hours, to enable the battery to recharge. After this period, perform the complete shutdown procedure from the operator’s manual, and then turn the system on again. If the battery fault message is displayed again, schedule a service call to replace the battery. Recurring battery faults indicate the battery is no longer rechargeable. 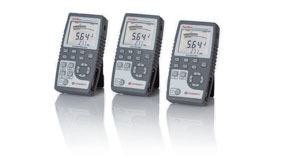 Determine the battery charge - The battery charge can be queried by RS-232 communication. Refer to the Operator’s manual for complete information on establishing an RS-232 link between the laser and a computer. A fully charged battery has 12-13 Volts. If the battery fault has been displayed, and it is necessary to remove AC power for more than a few seconds, be sure to run the LBO/SHG Cooldown program, before removing AC power. Refer to Operator’s Manual for instructions. Verify that the ambient temperature is not excessive, or abnormally unstable. If the head is water-cooled, verify the water flow and temperature setpoint are correct. Run the laser at normal operating conditions, and record the head baseplate temperature hourly, over the course of a day, in order to determine the variation in the head baseplate temperature. Consider whether the variation in head baseplate temperature correlates with the variation in beam pointing. If the head baseplate temperature varies markedly throughout the day, water cooling of the baseplate is recommended. Perform all Temperature optimizations and Therma Track optimizations (for non0Ultra systems) as described in the operator’s manual. In general, there is very little that can be done to improve the mode of a solid state laser. The optics are permanently aligned, and cannot be adjusted. Mode problems occur rarely. When they do occur, they are often indicative of damage to an optic. Typically, the laser head must be returned to the factory to correct a mode problem. If after verifying and/or correcting the checklist items the system is still not operating contact Coherent Technical Support or your local service representative for assistance. Ensure the laser is running at full power. If necessary, follow the “Low Power” troubleshooting steps. At very low power, the laser may be too far outside its normal operating parameters to meet mode specifications. If the mode quality is acceptable at higher powers, but not at low powers, and a low power beam is required, the recommended method is to run the laser at higher power, and use a series of external beamsplitters to reduce the laser beam power. ThermaTrack is a moving mirror whose position can be adjusted to compensate for thermal lensing effects of the laser rods. The position of ThermaTrack must be reoptimized every time the diode pump power or repetition rate is adjusted. It can be optimized from the main Avia menu, by scrolling the arrow to “ThermaTrack” and pushing in the front panel control knob. This initiates an automatic optimization of the ThermaTrack mirror, which will result in optimum laser power and mode quality. Optimize the temperatures of the SHG, THG and diodes. Verify the laser rods are at the correct setpoint temperature. It is unlikely that reoptimizing the temperatures of the crystals and diodes will solve a serious mode problem. However, a minor mode problem may be alleviated by ensuring the crystals are operating at peak efficiency. To optimize the SHG, operate the laser at normal operating conditions (power and repetition rate), ensure the ThermaTrack adjustment is optimized, and then access the “Temperature Optimization” menu. Scroll the arrow to “SHG Temperature” and press “Select”. Press “Select” again to initiate the temperature optimization, which will require approximately 5 minutes to complete. Repeat this procedure to optimize the THG, Diode 1 and Diode 2 temperatures. The laser rods setpoint temperature cannot be adjusted from the temperature they were set to in the factory, which is 25ºC. Access the Servo Status menu and verify the laser rods are locked at this temperature. Shift the THG crystal to a new spot. 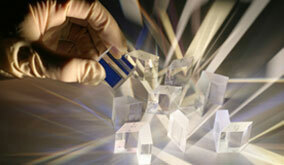 Any crystal in which UV light is generated, will eventually become damaged by the UV light. For this reason, the THG crystal in the Avia laser has at least 20 sites. Shift the THG crystal to a new spot, to determine whether a burn or defect on the existing site is causing the mode problem. To shift the crystal spot, turn the Pulsing off, access the “Crystal Shifter” menu, and turn the knob to access an unused crystal spot. Operate the laser at normal operating conditions, and carefully examine the mode to determine if the mode problem has been corrected. If the mode is not improved, shift the THG crystal back to the original spot. Ensure distilled water is used in the chiller. Do not use deionized water, or hard water - Deionized water is corrosive. Hard water contains dissolved minerals, which may eventually precipitate and clog small diameter fittings. Periodically replace the water in the chiller, to retard algae growth. If using a Neslab CFT-25 chiller, clean the strainer - Consult the Neslab manual for instructions on cleaning the pump strainer. If necessary, replace clogged fittings - Small diameter fittings, which have clogged with mineral deposits, may require replacement. If necessary, circulate vinegar (5% acetic acid solution) throughout the chiller and baseplate, to dissolve mineral deposits - Circulate acetic acid solution only until the mineral deposits have dissolved. Remove the acetic acid solution from the chiller and baseplate, and thoroughly rinse the system with distilled water. Acetic acid is corrosive to metals, and must not be left in the system for an extended period of time. Contact Coherent Service or your authorized Coherent representative to arrange for replacement of the front panel, or keyboard - If the front panel pushbuttons, control knob, keyswitch, or display malfunction, they cannot be repaired, and must be replaced by an authorized Coherent service representative. Contact Coherent Technical Support or your local service representative for assistance. Use RS-232 commands to communicate with the laser, and bypass front panel - If the laser cannot be controlled from the front panel due to a front panel malfunction, the laser can be fully controlled from a computer by establishing RS-232 communication between the laser and computer, and using the computer to issue the appropriate commands. This will enable full operation of the laser while waiting for the front panel to be replaced. Refer to the operator’s manual, Section titled External Computer Control, for complete details. When the output power of Avia, Verdi and Vitesse lasers is low, the laser will automatically respond by increasing the current to the FAPs. Eventually, the laser will reach the software-controlled current maximum, and an “Over Current Fault” will result. Over current faults are essentially low power faults. Note: Therma Track is not available for AVIA Ultra systems. Since the optics of the solid state lasers are permanently aligned, there are no optical positioning adjustments that can be made to increase power. If after verifying and/or correcting the checklist items the system is still not operating contact Coherent Technical Support or your local service representative for assistance. ThermaTrack is an end mirror of the laser cavity that translates in order to shorten or lengthen the laser cavity. In this way, the laser cavity dimension can be optimized to respond to thermal lensing of the laser rods. The degree of thermal lensing depends on the laser power and repetition rate. Therefore, any time the diode pump power or rep rate is changed, ThermaTrack should be reoptimized. To optimize ThermaTrack, operate the laser at the desired conditions. From the top-level menu, scroll the arrow to point to the fourth display line, which reads “ThermaTrack”, and press the front panel control knob to initiate the optimization. The ThermaTrack mirror will automatically move through its entire range, and settle at the position, which results in the highest laser power. Optimize the SHG, THG, Diode 1 and Diode 2 temperatures - The temperatures at which the SHG, THG, Diode 1 and Diode 2 perform most efficiently are determined when the laser is built. However, these temperatures should be periodically re-optimized. To do so, operate the laser at normal operating conditions (power and repetition rate), ensure the ThermaTrack adjustment is optimized, and then access the “Temperature Optimization” menu. Scroll the arrow to “SHG Temperature” and press “Select”. Press “Select” again to initiate the temperature optimization, which will require approximately 5 minutes to complete. Repeat this procedure to optimize the THG, Diode 1 and Diode 2 temperatures. Shift the THG crystal to a new spot - A burned or damaged area on the THG crystal will cause low power. To shift the THG crystal to a new spot, turn Pulsing OFF, and then access the “Crystal Shifter” menu. Turn the front panel knob to access the next unused crystal spot. Turn the diodes and pulsing ON and carefully examine the mode. If the power improves, remain at this new crystal spot. If there is no power improvement, return to the original THG crystal spot. If the laser in question is running version 3.32 Power Supply software or above, it is possible to do a preliminary check on the output power of the pump diodes through the software. To check which software version the laser has, simply turn the key switch on the front panel to standby and press Exit until the top-level menu is displayed. If the Power Supply version is 3.32 or above, continue with this step. If not, go on to the next step. Scroll to the menu titled “Diode Parameters” and look at the values for Diode 1 Photocell and Diode 2 Photocell. If either of these values are significantly different than 2.50 Volts, it may indicate a pump diode failure. If so, please contact your Coherent Rep for Service and further troubleshooting. Verify the external enable signal is supplied. Verify an external enable signal is being supplied. This can be done in 3 ways – a shorting BNC can be connected to the external enable BNC connection on the rear panel of the power supply, a user-supplied external enable signal can be input at the external enable BNC, or , a user-supplied external enable signal can be input at the 25-pin D-connector on the rear panel of the power supply – contact the Operator’s manual for details and pinouts. Verify external trigger signal is present - If the laser is being triggered with an external trigger, verify that the external trigger is being supplied, and is of adequate voltage and current. Refer to the Operator’s manual for details. Attempt to operate the laser using Continuous Mode, Internal trigger - Operate the laser in Internal trigger (with the shorting BNC connected to the External Enable connector on the rear panel of the power supply) to determine whether the fault originates with the external trigger input. If the laser operates in Internal trigger mode, but not external mode, verify the external trigger inputs (trigger and external enable) are correctly provided. If the laser does not operate in Internal trigger mode, verify the diodes and pulsing are turned ON. Access the “Pulse Delete Adjust/ThermEQ Adjust” menu. Set Pulse Delete/ThermEQ OFF. Check for milliWatt-level CW laser output. (Refer to the next troubleshooting step for further details.) If CW emission is present when the diodes and pulsing are turned on, the RF generator or Pulse board may be damaged. Contact Coherent Service or your authorized Coherent representative for further assistance. Carefully measure the laser output with an external power meter. A malfunction of the photocells can cause the front panel display to report “No Pulsing” even though the laser is operating normally. Contact Coherent Service or your authorized Coherent representative to arrange servicing. If the laser is, in fact, not pulsing, but rather, emitting a low energy (milliWatt) CW beam, access the “Pulse Delete Adjust/ThermEQ Adjust” menu. Set Pulse Delete/ ThermEQ OFF. If the laser is still emitting a low energy CW beam, the most likely cause is a failure of the RF generator or Pulse board. Contact Coherent Service or your authorized Coherent representative to arrange servicing. Operate laser with Internal triggering. Any instability in the external triggering circuitry, such as missing triggers, may appear as a power fluctuation. Disconnect the cable, which delivers the external trigger signals, and operate the laser with internal triggering. Re-evaluate the power stability. Examine the external trigger signals on an oscilloscope to verify they are of the correct voltage and the intended repetition rate. Verify power instability with an external power meter. If possible, use a fast photodiode and oscilloscope to examine the power stability. One recommended photodiode is the Electro-Optics Technology model #ET-2020, with <1.5 nanoseconds rise time. This is a biased silicon photodetector. Refer to the website at: http://www.eotech.com. If the laser is being operated in “Bursts” (on for several seconds then off for several seconds to several minutes) then the power stability can be improved by using the ThermEQ feature. Scroll to the “Pulse Delete/ThermEQ Adjust” menu and press select. Scroll the arrow down to the bottom line of the menu and press Select until the line reads “ThermEQ: On” and then press exit and test the operation of the laser. Clear the fault. Retry the shutter. If fault occurs repeatedly, schedule a service call to replace the shutter assembly. Shutter mismatch faults occur when the system CPU indicates the shutter is in one particular state (either open or closed) but the shutter sensor indicates the shutter is in the opposite state. If this fault occurs repeatedly, the cause may be either a mechanical failure of the shutter, or an electrical failure of the sensor. Contact Coherent Technical Support or your local service representative for assistance. Troubleshooting information for Verdi DPSS lasers. If the battery fault has been displayed, and it is necessary to remove AC power for more than a few seconds, be sure to run the LBO/SHG Cooldown program, before removing AC power. Refer to Operator’s Manual for instructions. If after verifying and/or correcting the checklist items the system is still not operating contact Coherent Technical Support or your local service representative for assistance. Stabilize head baseplate temperature - Verify that the ambient temperature is not excessive, or abnormally unstable. If the head is water-cooled, verify the water flow and temperature setpoint are correct. Water-cooling of the head is required only for V10 and V18 lasers, but pointing stability will be markedly enhanced for all powers of Verdi lasers, if the head is water-cooled. If the Verdi laser is used in an application where pointing stability is a major concern, the head should be water-cooled. Contact Coherent Service or your authorized Coherent representative for further details. Ensure the laser is running at full power. If necessary, follow the “Low Power” troubleshooting tips. At powers less than 0.5 Watt, the laser may be too close to the lasing threshold to meet mode specifications. If it is desired to run the laser at low power, the recommended method is to run the laser at a power of at least 1 Watt, and use a series of external beamsplitters to reduce the laser beam power. Verify the vanadate, etalon and LBO temperatures are at the correct setpoints - The temperatures at which the vanadate, etalon and LBO crystals perform most efficiently are determined when the laser is built. These optimum operating temperatures are listed on the Customer Data Sheet, which was shipped with the laser. Refer to this document. Access the “Temperature Set Points” menu, and verify that the “Set Pt” (the set temperature) and the “Read T” (the actual temperature) are equal to the temperature noted on the Data Sheet. The LBO temperature may be slightly different than the value noted on the Data sheet, if the LBO optimization program has been run. Verify the LBO “Read T” value is equal to the LBO “Set Pt” value. Contact Coherent Service or your authorized Coherent representative to arrange for replacement of the front panel, or keyboard - If the front panel pushbuttons, control knob, keyswitch, or display malfunction, they cannot be repaired, and must be replaced by an authorized Coherent service representative. 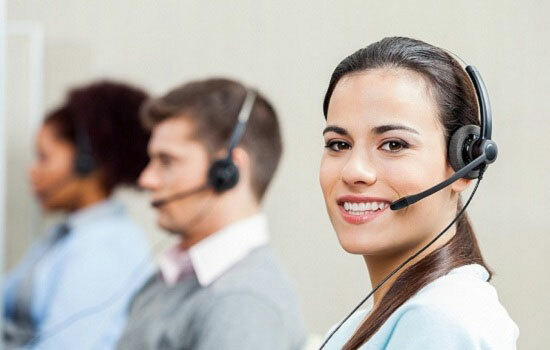 Contact Coherent Technical Support at 1-800-367-7890 or your local service representative for assistance. Since the optics of the solid state lasers are permanently aligned, there are no optical positioning adjustments that can be made to increase power. If after verifying and/or correcting the checklist items the system is still not operating contact Coherent Technical Support at 1-800-367-7890 or your local service representative for assistance. Verify the vanadate, etalon, Diodes, and LBO are at the correct operating temperatures. Optimize the LBO temperature - The LBO temperature may require periodic reoptimization. However, this is only recommended for 2 and 5 Watt systems. Do not run the LBO optimization program if the laser is an 8 or 10 Watt laser, as this may cause the laser performance to degrade, rather than improve. To run the LBO optimization, operate the laser at full power, or at the highest operable power. The optimization program will not run unless the laser is operating at > 80% of full power. Access the “LBO Optimization” menu, and press “Select” to initiate the optimization. The optimization will require approximately 45 minutes, and will display a message when complete. Evaluate the FAP power, by looking at the “Diode Parameters” menu - Operate the laser at the highest power possible. Access the “Diode Parameters” menu. Examine the values for “Diode 1 Photocell” and “Diode 2 Photocell”. If the FAP modules are operating at full power, the photocell voltages should be close to 2.5 Volts. If either of these voltages is significantly higher or lower than 2.5 Volts, this may indicate a FAP failure. Contact Coherent Service, or your authorized representative for further troubleshooting assistance. Verify the laser is operating at power greater than 0.5 Watt. When the laser is running at a power less than 0.5 Watt, it is operating close to the lasing threshold. Under these low power conditions, single frequency operation cannot be guaranteed. Ensure the laser is operating at a power greater than 0.5 Watt. If a lower power laser beam is required, operate the laser at a higher power, and use a series of beamsplitters to reduce the laser power. When the output power of Verdi and Vitesse lasers is low, the laser will automatically respond by increasing the current to the FAPs. Eventually, the laser will reach the software-controlled current maximum, and an “Over Current Fault” will result. Over current faults are essentially low power faults. Refer to the troubleshooting advice for “Low Power”. To verify whether the instability is caused by the laser, or the photodiode electronics, use an external power meter or photodiode to examine the laser stability. If possible, identify any characteristic frequency of the power fluctuation - Some customers, especially those using the Verdi laser for pumping ultrafast lasers, may be able to easily measure the characteristic frequency of the power fluctuation if the fluctuation is periodic in nature. This may assist with diagnosis of the problem. If the power fluctuation is sinusoidal in nature, with a frequency of 3 kHz, the likely cause is that the photocell gain is too high. Contact Coherent Service or your authorized Coherent representative for further assistance. Troubleshooting information for Vitesse DPSS lasers. All Vitesse models have a water-cooled baseplate that must be maintained at 25 ± 1ºCelsius. Ensure the laser is running at within its limits. If necessary, follow the “Low Power” troubleshooting steps listed below. Ultrafast lasers must run between 2 well-defined power limits – the “Q-Switching” limit is the low power limit, and the “CW breakthrough” limit is the high power limit. The mode quality can only be guaranteed if the laser power is between these 2 limits. Consult the data sheet, which shipped with the laser to ensure the laser is operating between these 2 limits. Verify the vanadate, etalon, LBO and Ti:sapphire are at the correct setpoints - Access the “Servo Status” menu (a “Verdi Status” submenu). Verify the vanadate and etalon temperatures are equal to the values noted on the Customer Data sheet (which was shipped with the laser). Access the “LBO Settings” menu, and verify the setpoint temperature (“Set”) is equal to the actual temperature (“T”). Access the “Display A/D Reading” menu (a Vitesse Status submenu). Examine the value of “ThermV”. ThermV is a voltage proportional to the Ti:sapphire crystal temperature, and should be between 2.5 and 3.0 Volts. Contact Coherent Service or your authorized Coherent representative to arrange for replacement of the front panel, or keyboard. - If the front panel pushbuttons, control knob, keyswitch, or display malfunction, they cannot be repaired, and must be replaced by an authorized Coherent service representative. Contact Coherent Technical Support or your local service representative for assistance. Operate the laser in Verdi light loop, and verify Verdi laser is operating at full power. Access the “Light Loop Control” menu, scroll the arrow to “Verdi Light Loop Mode” and press “Select” to put the system into Verdi light loop. Press EXIT. Access the “Power Adjustment” menu, and set the Verdi power to full power. If the Verdi cannot maintain full power, follow the Verdi troubleshooting steps for “Low Power”. Verify the Ti:sapphire crystal is at the correct temperature - Access the “Display A/D Reading” menu (a Vitesse Status submenu). Examine the value of “ThermV”. ThermV is a voltage proportional to the Ti:sapphire crystal temperature, and should be between 2.5 and 3.0 Volts. Verify the PowerTrack PZTs are between 2 and 3 Volts - The PowerTrack PZTs optimize the alignment of the Verdi beam into the ultrafast head. They have a range of 0-5 Volts and should ideally be between 2 and 3 Volts. Operate the laser at normal operating conditions, and access the “PZT Control” menu (a Vitesse Setting submenu). Examine the values of PZT X and PZT Y. If either of the PZT voltages is less than 1 Volt or greater than 4 Volts, the PZTs will need to be recentered. Contact Coherent Service or your authorized Coherent representative for further assistance. Verify the baseplate is 25 ± 1ºCelsius. Optimum alignment of the Verdi pump beam into the ultrafast head can only be achieved if the baseplate temperature is 25 ± 1ºCelsius. Adjust the chiller temperature as necessary to ensure the baseplate temperature is correct. Verify automodelock, powertracking, peak hold and PZT control are correctly set - access the “Vitesse Settings Menu”. View the “Automodelock” menu. Verify Automodelock is ON. View the “PowerTrack” menu. Verify the Powertrack setting is ON. Access the “Peak Hold” menu. Verify Peak Hold is OFF. Access the “PZT Control” menu. Verify the PZT mode is AUTO. Verify the Verdi and Vitesse CW powers are adequate. Consult the Data Sheet shipped with the laser to ensure the Vitesse laser is lasing at a CW power between the Q-Switching and CW Breakthrough limits. Adjust the Verdi pump power accordingly. If the Verdi power is low, consult the Verdi “Low Power” troubleshooting page. If the Verdi power is normal, but the Vitesse CW power is low, consult the Vitesse “Low Power” troubleshooting page. If both Verdi and Vitesse CW powers are normal, but the systems will not modelock, put the system in Standby, and attempt to restart the system. If the modelocking problem occurs repeatedly, despite adequate Vitesse CW power, contact Coherent Service or your authorized Coherent representative. The temperatures at which the vanadate, etalon, Diodes and LBO crystals perform most efficiently are determined when the laser is built. These optimum operating temperatures are listed on the Customer Data Sheet, which was shipped with the laser. Refer to this document. Access the “Temperature Set Points” menu, and verify that the “Set Pt” (the set temperature) and the “Read T” (the actual temperature) are equal to the temperature noted on the Data Sheet. The LBO or Diode temperatures may be slightly different than the value noted on the Data sheet, if the LBO or Diode optimizations have been run. The LBO temperature may require periodic reoptimization. However, this is only recommended for 2 and 5 Watt systems. Do not run the LBO optimization program if the laser is an 8 or 10 Watt laser, as this may cause the laser performance to degrade, rather than improve. To run the LBO optimization, operate the laser at full power, or at the highest operable power. The optimization program will not run unless the laser is operating at > 80% of full power. Access the “LBO Optimization” menu, and press “Select” to initiate the optimization. The optimization will require approximately 45 minutes, and will display a message when complete. Evaluate the FAP power, by looking at the “Diode Parameters” menu. Operate the laser at the highest power possible. Access the “Diode Parameters” menu. Examine the values for “Diode 1 Photocell” and “Diode 2 Photocell”. If the FAP modules are operating at full power, the photocell voltages should be close to 2.5 Volts. If either of these voltages is significantly higher or lower than 2.5 Volts, this may indicate a FAP failure. Contact Coherent Service, or your authorized representative for further troubleshooting assistance. Verify laser is reliably modelocked, and PowerTrack is operating - Access the “Power Track” menu (a Vitesse Setting submenu) and verify that both the “Power Track setting” and “Power Track status” are ON. Access the “Automodelock” menu (a Vitesse Setting submenu) and verify that “Automodelock setting” is ON. Verify the system is modelocked, as indicated on line 2 of the top level menu. Operate laser in Verdi light loop - To determine whether the power instability originates with the Verdi pump laser or the ultrafast head, access the “Light Loop Control” menu and set the laser to “Verdi Light Loop Mode”. Re-evaluate the power stability. Stabilize head baseplate temperature. Access the “PZT Control” menu (a Vitesse Setting submenu). Verify the “PZT X” and “PZT Y” values are between 2 and 3 Volts (ideally). Ensure the “PZT mode” is AUTO. PZT values which fall in the ranges 1-2 Volts, or 3-4 Volts are acceptable, but PZT values which are < 1 Volt, or > 4 Volts indicate the ultrafast head is significantly misaligned, and the PZTs are at the extremes of their ranges, in order to compensate. If the PZTs are toward the extremes of their range (<1 Volt or >4 Volts), ensure the baseplate temperature is 25 ± 1ºCelsius. If the baseplate temperature is 25 ± 1ºCelsius, but the PZTs are at the extremes, the PZTs will need to be recentered. Contact Coherent Service or your authorized Coherent representative. Verify PZTs are mid-range, approximately 2-3 Volts. Access the “Peak Hold” menu (a Vitesse Setting submenu). Verify the “Peak Hold setting” is OFF. Verify the baseplate is 25 ± 1ºCelcius. In order to achieve optimum alignment of the Verdi pump beam into the ultrafast laser head, the baseplate temperature must be 25 ± 1ºC. If the temperature deviates appreciably from this value, the PZTs will compensate, but if the temperature is too far from 25ºC, the PZTs will reach the end of their range (0-5 Volts). Adjust the chiller temperature as necessary to ensure the baseplate temperature is correct. Normally a chiller reservoir temperature of approximately 20ºC results in a baseplate temperature of 25ºC. Verify the Verdi pump laser is at the correct power to generate Vitesse power between the Q-Switch and CW-Breakthrough limits. If the Verdi pump power is too low, the response of the PZTs may be adversely affected. Verify the Verdi laser is at the correct power. To maximize performance and longevity, there are specific cleaning procedures for the handling and cleaning of various optical components. With such materials and variations, Coherent offers a number guides for your reference. The laser system plasma tube will have zero, one, or two Brewster windows depending on the system type. Sealed mirror systems may have one window or no accessible windows. Other system types have two windows. Great care should be taken when cleaning the plasma tube Brewster windows. A scratch on the window surface may degrade performance to the extent that the tube must be replaced. The Brewster window is located in a sealed cavity and rarely needs to be cleaned. Turn off the laser system before cleaning the Brewster window. Extremely high voltage is present adjacent to the window when the laser is on. This voltage may cause serious shock to the operator, or if shorted to ground may result in catastrophic damage to the plasma tube and/or power supply. For the front window, slightly rotate the bellows back and forth while sliding the dust shield/bellows towards the front of the head to expose the Brewster window. There will be some resistance when sliding the bellows because the Teflon O-rings produce seals to the window stem and aperture transition tube. Close the intracavity shutter and position an appropriate power meter detector head in front of the laser system. Reopen the shutter and verity that the detector head has been properly positioned. The power meter detector head should be positioned as close to the laser head output aperture as possible. Care should also be taken to assure that a beam dump captures all back reflections from the detector surface. Depress the “Tune” button on the laser system remote control. This will place the laser system in the fixed Current mode of operation and disable PowerTrack, if equipped. Using the HR horizontal and vertical tilt controls optimize the laser system output power. Record the power, and if possible, the transverse laser mode. Turn off the laser key switch, but maintain facility electrical power. Remove the appropriate laser head sub-cover and expose the plasma tube Brewster window. For the rear window, slightly rotate the bellows back and forth while sliding the dust shield/bellows towards the rear of the head to expose the Brewster window. There will be some resistance when sliding the bellows because the Teflon O-rings produce seals to the window stem and aperture transition tube. Clean the Brewster window using the Hemostat and Lens Tissue method. Make a single wipe with a smooth continuous motion using light pressure. Do not reuse the lens tissue. Wipe in the correct direction as follows. Always wipe the window TOWARD the dust shield. Never wipe the window toward the center of the laser. After cleaning the window, wait approximately 15-seconds for all solvent vapors to dissipate. Replace the bellow/dust shield using a slight back-and-forth rotational motion to overcome seal resistance while sliding . Ensure that the bellows are not overextended and have a good seal on both the window stem and the aperture transition tube. Extreme care should be taken to ensure that no intracavity components come in contact with the Brewster window. Replace the laser head sub-cover and restart the laser system (key On). Depress the Tune button on the remote and re-peak the laser system. Verify that the power is equal to or greater than the levels recorded before cleaning. If the output power is lower than previously measured the Brewster window should be re-cleaned. Do not clean another optic until all power levels are regained or exceeded. Once the laser system is optimized, re-press the Tune button. If equipped, verify that the PowerTrack LED is illuminated. 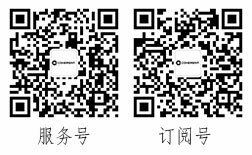 If the order of the transverse mode was the cause for cleaning, verify that the mode is as expected and that the system aperture and regulation mode are properly set for your application. Optic cleaning is not a required component of a regular laser system maintenance schedule. Optics should only be cleaned as a corrective action for marked power decrease or poor mode quality. Optics should not be cleaned unless signs of contamination are clearly visible on the optic surfaces. Unnecessary cleaning will shorten the life span of the optical coating. Optics and optic coatings can be easily damaged. Never touch the optical surfaces with bare skin, hemostats, or materials other than lens tissue. If applicable, place the laser system in Current control mode of operation. For Ion laser systems disengage PowerTrack if this option is available. Record the laser system output power, and output mode characteristics if applicable. Turn off the laser system, or block the pump laser beam if the optic to be cleaned is in an oscillator or amplifier. Inspect the system optics for contamination. Clean an optic only if contamination is clearly visible. A bright flashlight, held a glancing angle of incidence with respect to the optical surface, can help to identify contaminated optics. Fold a lens tissue into a 1-cm (3/8-in.) wide strip, being careful not to touch the portion of the tissue that will contact the optic. Fold this strip upon itself twice and grasp near the fold with clean hemostats as shown in the figure below. Place a few drops of Methanol on the fold and shake off the excess. Make a single swipe across the surface of the optic. Do not re-use the lens tissue as particles of dust and other contaminates picked up from the surface of the optic may scratch if dragged across with a second swipe. Turn on the laser system, or unblock the pump laser beam. Using only the mount tilt controls of the optic that was cleaned, optimize the performance of the laser system. Do not clean another optic until the system performance meets or exceeds that previously recorded. On some systems the high reflector (HR) is sealed to the tube and is not accessible. Do not attempt to extract and clean the optic. An example of a sealed mirror tube is shown in the figure below. Handle laser optics with care. A scratch, trace of dirt, or film will diminish the laser’s efficiency. Before cleaning optics, be sure that your hands are clean and that a clean, cushioned work surface is available. Optics and optic coatings can be easily chipped or scratched. To prevent damage when removing or replacing mirrors, always grasp the optic by the outer edge. Never touch the optical surfaces with your bare skin, the hemostats, or materials other than lens tissue. Only fresh (dry) spectroscopic grade Methanol should be used to clean optics. Close the intracavity shutter and position the appropriate power meter detector head in front of the laser system. Reopen the shutter and verity that the detector head has been positioned properly. The power meter detector head should be positioned as close to the laser head output aperture as possible. Care should also be taken to assure that a beam dump captures all back reflections from the detector surface. Depress the “Tune” button on the laser system remote control. This will place the laser system in the fixed Current mode of operation and disable PowerTrack, if equipped. Using the HR horizontal and vertical tilt controls optimize the laser system output power. Record the power, and, if possible, the transverse laser mode. Close the intracavity shutter, remove the knurled cap securing the multiline optic and holder, and remove the mirror holder (see figure above). Inspect the optic for contamination and damage. The optic should be cleaned only if contamination can clearly be seen. A bright flashlight, held at a glancing angle of incidence with respect to the optical surface, is very helpful in identifying contaminated optics. Breathe on the optic to determine if there is any damage to the coating. The surface should fog with no discoloration. If discoloration appears the coating has been damaged and the optic must be replaced. If required, clean the exposed (coated) surface of the high reflector using the Drop and Drag method. It should not be necessary to remove the optic from the holder. Remove the multiline holder and verify that the optic is properly seated, and was not been damaged by the cleaning or removal/reinstallation process. Verify that that fresh spectroscopic grade methanol is being used, and re-clean the optic. Note that over time methanol will absorb water from the air, and this water will leave a film on an optical coating or surface. Once the laser system is optimized, re-press the Tune button. If equipped, verify that the PowerTrack LED is illuminated. If the order of the transverse mode was the cause for cleaning, verify that the mode is as expected and that the system aperture is set properly for your application. For diode pumped laser systems (e.g., Verdi, AVIA, MBD-200, Azure, Vitesse, etc.) the optical transport fiber is sealed within the diode (FAP-I) assembly and should not require cleaning under normal operating conditions. When replacing the FAP-I assemblies of these systems, and for optical transport fibers in general, the optical surface should always be viewed with a magnifier to verify the presence of contamination before cleaning. Do not clean the fiber if there is no visible contamination. The end of the fiber optic cable constitutes an optical surface. Do not allow the end of the fiber optic cable to make contact with any surface, including your hands. Optics and optic coatings can be chipped or scratched easily. Wear finger cots, or powder free surgical gloves, while handling fiber optic cables. Only fresh (dry) spectroscopic grade Methanol should be used as a cleaning solvent. Do not use Acetone as a cleaning solvent on the fiber optical surfaces. It will dissolve the matrix which supports the fiber, and permanently destroy the optical transport fiber. The following outlines the proper procedure for cleaning optics that has been removed from the laser system. To prevent the inadvertent misalignment of the laser system optics should be installed cleaned in their mounts whenever possible. 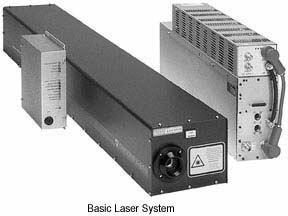 Optic cleaning is not a required component of a regular laser system maintenance schedule. Optics should only be cleaned as a corrective action for marked power decrease or poor mode quality. Optics should not be cleaned unless signs of contamination are clearly visible on the optic surfaces. Unnecessary cleaning will only shorten the life span of the optical coating. Optics and optic coatings can be easily chipped or scratched. Therefore, to prevent damage when removing or replacing mirrors, always grasp the optic by the outer edge. Never touch the optical surfaces with bare skin. Handle laser optics with care. A scratch, trace of dirt, or film will diminish the laser’s efficiency. Always use finger cots, latex gloves, or the equivalent when handling optics, and use a clean, cushioned work surface. Remove optic from holder and place the optic on its edge on a clean piece of lens tissue. Do not allow the optic to rest on one of its polished surfaces. Allow enough time for the optic to cool down to room temperature. Once the optic has cooled, examine the optic at different light angles for signs of contamination or scratches. If required, clean the optic using the cleaning procedure outlined below. If any scratches or contamination cannot be removed, the optic must be replaced. If no scratches are visible, breathe on the optic. The surface should fog with no discoloration. If any discoloration appears the coating has been damaged and the optic must be replaced. Place a drop of Methanol in the center of a lens tissue. Place the wet portion of the lens tissue on the optic surface and slowly drag it across the optic. The lens tissue and optic should be nearly dry before completing the drag. Note that the optic may need to be held in place during this process. Inspect the surface of the optic as outlined above. If streaks or contamination can be seen repeat the cleaning process using a fresh lens tissue. Re-install the optic, being careful not to scratch the surface. Note that a small arrow (>) is drawn on the side of all Coherent optics. When the optic is properly installed, this arrow will point into the laser cavity. On some systems, the high reflector (HR) is sealed to the tube and is not accessible. Do not attempt to extract and clean the optic. Handle laser optics with care. A scratch, trace of dirt, or film will diminish the laser’s efficiency. Before cleaning optics be sure that your hands are clean and that a clean, cushioned work surface is available. Optics and optic coatings can be easily chipped or scratched. To prevent damage when removing or replacing mirrors, always grasp the optic by the outer edge. Never touch the optical surfaces with bare skin, the hemostats, or materials other than lens tissue. Only fresh (dry) spectroscopic grade Methanol should be used to clean optics. Record the power, and if possible, the transverse laser mode. Close the intracavity shutter, remove the knurled cap securing the single-line holder, and remove the mirror holder. Turn the small plate (over the prism) to one side to allow easy access to the prism. Inspect bothe surfaces of the prism for contamination. A bright flashlight, held a glancing angle of incidence with respect to the optical surfaces, can help to visualize contaminates. If required, clean the exposed angled surfaces with one continuous wipe beginning at the prism base using the Hemostat and Lens Tissue method. Spraying excess cleaning solvent on the high reflector while wiping the front surface of the prism is a common problem when cleaning the prism, resulting in a net decrease in system output power. To prevent this problem shake excess solvent from the lens tissue, especially if the HR does not require cleaning. Re-center the plate over the prism. Visually inspect the coated surface of the HR. If the high reflector requires attention, follow steps below. To remove the optic, lift and move the spring clip to the side. Grasp the high reflector by its edge while removing it. Clean the coated surface (indicated by the arrow drawn on the side of the optic) using the Drop and Drag method. After cleaning, re-insert the HR with the arrow on the side of the optic pointing toward the holder. Lift and move the spring clip back in place. Reinstall the single-line mirror holder into the laser system, open the intracavity shutter, and optimize the output power using the HR horizontal and vertical tilt controls. The observed power should be equal or greater than that previously measured. Do not adjust any other optics or controls until this is the case. If the previous power can not be achieved, follow the steps below. Remove the single-line holder and verify that the HR optic is properly installed, and was not been damaged by the cleaning or removal/reinstallation process. Verify that that fresh spectroscopic grade methanol is being utilized, and re-clean all optical surfaces that were previously cleaned. Note that over time methanol will absorb water from the air, and that this water will leave a film on an optical coating and/or surface. 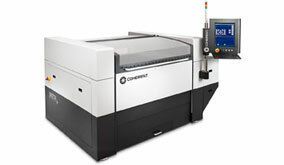 Coherent’s Laser Machining Centers are the most compact, flexible laser cutting tools available for any production shop. Production Automation options are available for enhanced productivity. Worldwide phone support hotlines ensure that an expert drawing on the resources of a global company can always be reached. To reach a product support engineer, please contact us. All laser machining tools come with a 12 month warranty that covers service and parts. For additional information on warranty terms, please contact Coherent’s Service Department. Coherent’s Wilsonville, Oregon calibration laboratory is fully accredited to ISO/IEC 17025:2005 by ANAB, a brand of the ANSI-ASQ National Accreditation Board and recognized internationally by ILAC, APLAC, and IAAC. Certification to ISO 17025 is a formal recognition that a calibration laboratory is using valid and appropriate methods and is competent to carry out specified tests or calibrations. A detailed discussion of the Scope of Accreditation and the Technical Requirements of ISO 17025 Accreditation can be found on our ISO 17025:2005 Accredited web page. Minor repairs including fixing manufacturer’s defects, hardware updates, firmware, software updates, damaged connectors, and other small repairs. Detector element replacement due to laser damage and damage caused by negligent use is not covered – for customer-caused damage, an additional repair service charge is applied. This level of service results in an overall lower cost of ownership for our customers. Those customers who routinely send products in for annual calibration are realizing a lifetime warranty for their products. By choosing Coherent, you are choosing a company you can rely on for fast delivery, low warranty rate, and lower overall cost of ownership. Fast calibration turn around time. Coherent laser power and energy meters are precision instruments, capable of delivering very accurate measurements as well as providing many years of useful service. To maintain this high level of performance, and to ensure compliance with your quality and ISO certification, it is important to have your measurement system serviced and re-certified once per year. Extended use of laser power and energy meters and sensors, as well as environmental factors, can have an adverse effect on accuracy and also result in wear and/or damage to parts critical to optimum performance. 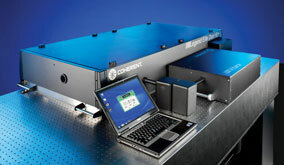 As the world’s largest laser manufacturer, Coherent calibration facilities contain the widest possible range of light sources from 193 nm to 10,600 nm, with powers ranging nanowatts to kilowatts. Coherent’s investment in service and calibration facilities and personnel is an on-going process, and we strive to maintain our unique technological edge. Our Quality Management System is registered to ISO 9001:2000; our products are NIST-traceable; and our calibration labs are ANSI-Z540-compliant. In addition, Coherent team delivers the industry’s best service, with a knowledgeable and responsive staff, and rapid turnaround. To prepare your instrument meter or sensor for return to Coherent, make a tag that includes the name and address of the owner, the contact individual, the serial number, and the RMA number you received from Coherent Customer Service. Attach this tag to the unit. Wrap the product with polyethylene sheeting or equivalent material. If the original packing material and carton are not available, use a corrugated cardboard shipping carton with inside dimensions at least 6 in. (15 cm) taller, wider, and deeper than the product. The shipping carton must be constructed of cardboard with a minimum 375 lbs. (170 kg) test strength. Cushion the instrument unit in the shipping carton with packing material or urethane foam on all sides between the carton and the instrument or probe sensor. Allow 3 in. (7.5 cm) clearance on all sides, top, and bottom. Seal the shipping carton with shipping tape or an industrial stapler. Click on the left navigation topics on this page to view various troubleshooting tips and documents. Go to our “Manuals & Guides” section to view various Pre-installation documents for a number of Coherent products.